Bespoke windows are an incredible feature that can transform a property from simply appealing to absolutely amazing. Offering beauty, practicality and individuality in equal measure, custom-made windows are a fantastic way to set your design style apart and elevate your property to new heights of coveted chic. Take a look at these examples of bespoke windows and see if you have a penchant for great glazing. We can't think of a better way to begin our bespoke windows article than with these incredible Descender Fronts by Kollegger. Uniquely designed, they can be opened as little or as much as you like, allowing for a seamless integration of the outdoors with your interior, whilst also becoming a beautiful weatherproof divide when you need it most. Incredibly simple in their concept, these customised windows offer levels of elegance rarely seen in glazing architecture and are truly setting the standard for modern design initiatives. Sleek, sophisticated and undeniably stylish. If you are taking the step of building your own home, you are in a fortunate position to be able to fully dictate where you want your windows and what they should look like. We love this modern cubist structure that showcases multiple window styles and sizes, all designed to draw in natural light where it is needed the most. The small, almost cinema projector style windows are so well placed within the cladding that their diminutive size does not look jarring, despite being visually adjacent to the larger panel atop the front entrance. Bespoke windows such as these really do transform a mere building into a beautiful home. Bespoke windows don't come much more different than this! What makes this gorgeous glazing installation all the more unique is that it has clearly been situated in an older property, so for any of you thinking that your traditional house may not naturally lend itself to modern window innovations, think again! Offering valuable extra seating space, we love how this ultra modern take on a bay window has culminated in a cosy day bed and feel sure that this was a requisite of the original brief. Bespoke architecture should always work around your needs and ideals and this example clearly does. From the look of the wall on the right, there can be no escaping the fact that this is either an older property or one that has been designed and built to appear as such. 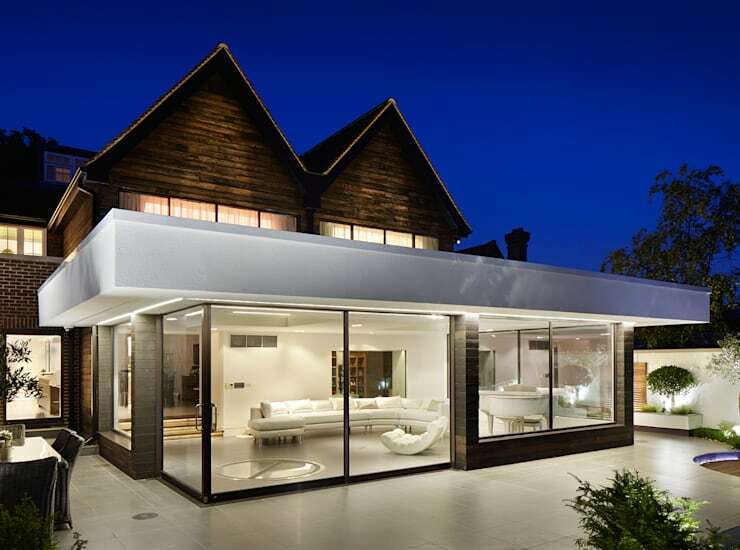 Adding an ultra modern conservatory to a house such as this can be a difficult task but the use of extensive glazing to minimise bulky structural additions is nothing short of genius. Therein lies the fantastic thing about bespoke windows; they can do as little or as much as you want them to. Not just a way to welcome natural light into a space, they have been elevated to a far higher purpose: that of carefully and considerately linking new and old structures with effortless elegance and transparent lines. Here is an example of bespoke windows being put to amazing use. Embracing the space that they have been installed into, the glazing panels in this extension are acting as windows, doors and walls as well as making a huge design statement. This wraparound glazing has been designed to offer a seamless transition from indoor to outdoor spaces and is no doubt triple glazed to offer valuable insulating and noise-proofing qualities as well. When the view from outside looking in is as beautiful, if not more so, than the view looking out, it is clear to see why so many people are keen to embrace custom-made window options like this one. 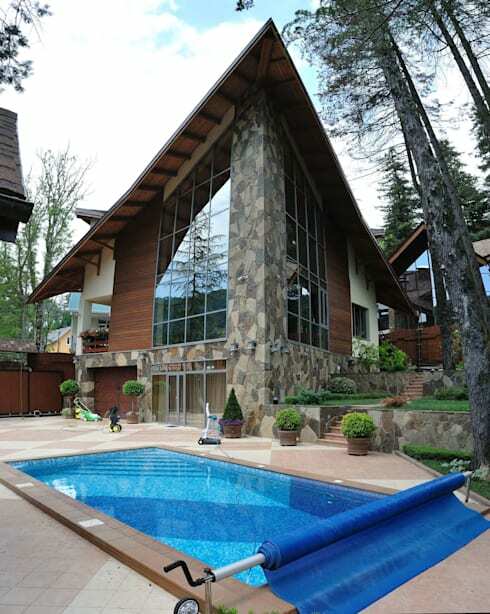 What a fabulous concoction of shapes and angles this house is! Clean, sharp lines are complimented everywhere, from the slices of granite in the walls through to the topiaries and bespoke windows. It would have been so easy to negate the 'awkward' section of glazing where the panels meet the roof but, instead, angled panes have been created to work with the brazen and dramatic sloping flat roof. Visually this is quite a statement but the windows also serve a practical function in that they allow for the maximum amount of natural light to pour into the property to illuminate this fabulously welcoming wedge. 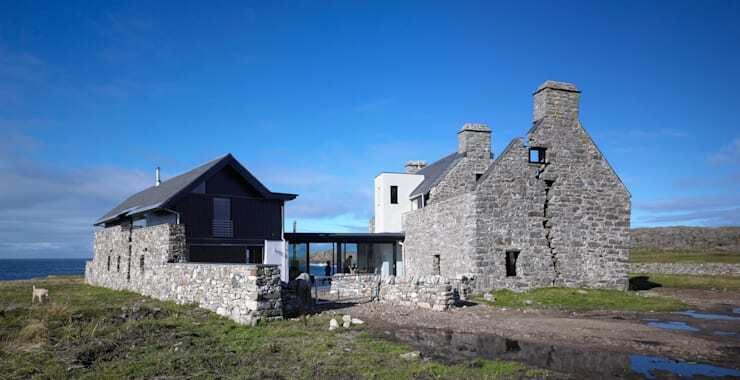 Imagine taking on a restoration project that necessitates an extension and a sympathetic method of bringing the two together. There is really only one solution that will work beautifully and that's bespoke windows. 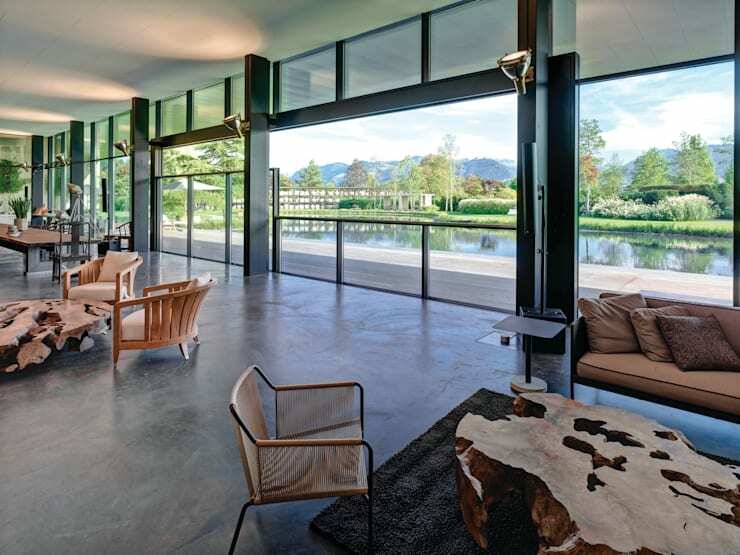 The walkway between the old and new portions of this stunning home is created with seemingly endless panes of weatherproof glazing that offer unbeatable views of the surrounding landscape. Thanks to the lack of opaque walls, the house does not feel disconnected or disjointed, rather, the windows are acting as stunning portal between eras. Just imagine the views from inside! We understand that in the quest for the perfect home you may purchase a property that has some character and heritage and if so, your choice of architectural add ons might be a little more limited to styles considered complimentary or appropriate. 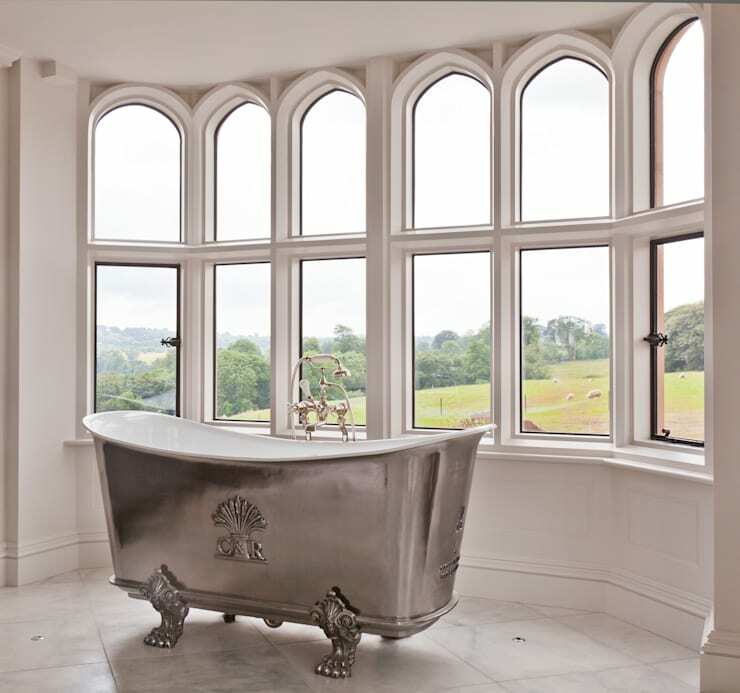 Don't feel boxed in by this, embrace it and opt to have custom-made pieces, such as these fabulous semi-gothic bespoke windows. Look how utterly at home they look in this grand space; it's as if they were installed when the house was built and yet they have all the functionality of modern frames. Old world charm, entirely dictated by you and your needs. Nothing quite says traditional like stained glass and this is a fantastic example of widely recognised patterns and motifs that just screams character. 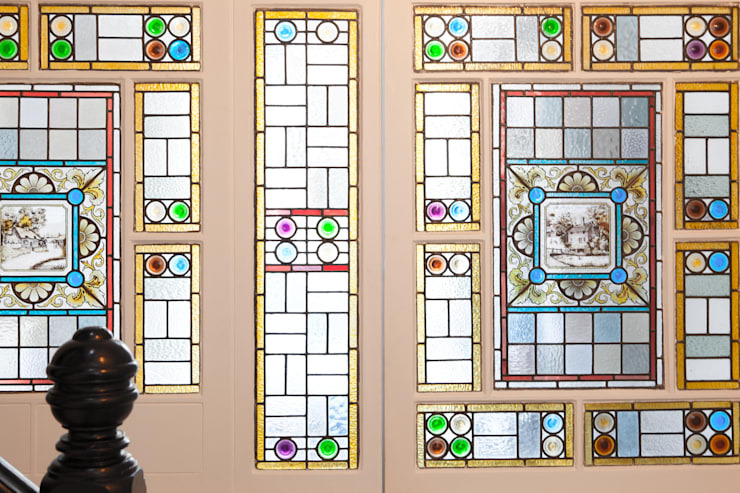 Of course the delightful thing about stained glass is that it can be tailored to your individual tastes, allowing for bespoke windows in your home that feature tableau of your choosing, rather than stock patterns. Both old and new properties have the ability to welcome a traditional feature such as stained glass perfectly, as the window frames and furniture will have a part to play in the integration, so decide what you want to be immortalised and get creative with your space! 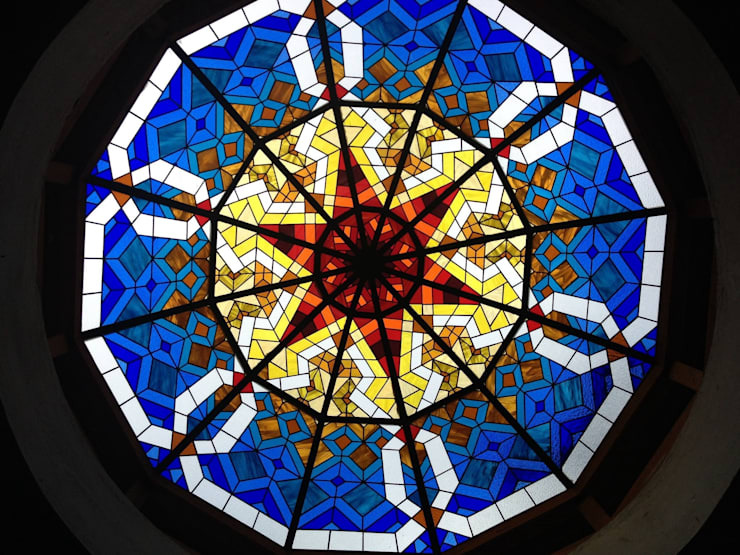 The likelihood of you having suitable space to install a stained glass dome may not be huge, but on the off chance that you do, we didn't want to leave this amazing example out! This really takes bespoke windows to a new level, doesn't it? Adding a playful pop of colour into any hallway, a hand-crafted, custom-made piece such as this will be impossible to overlook as it brings character and warmth to the space. Definitely an option for those that look for exciting ways to inject some personality into their home. We can imagine style and design aficionados being keen to create their own motif. For more fabulous window inspiration, take a look at this Ideabook: Window design ideas. Are you seeing the potential of windows more clearly now? Tell us below!